Before I begin to actually review these titles, I want to take a second to speak about exactly that: the titles. 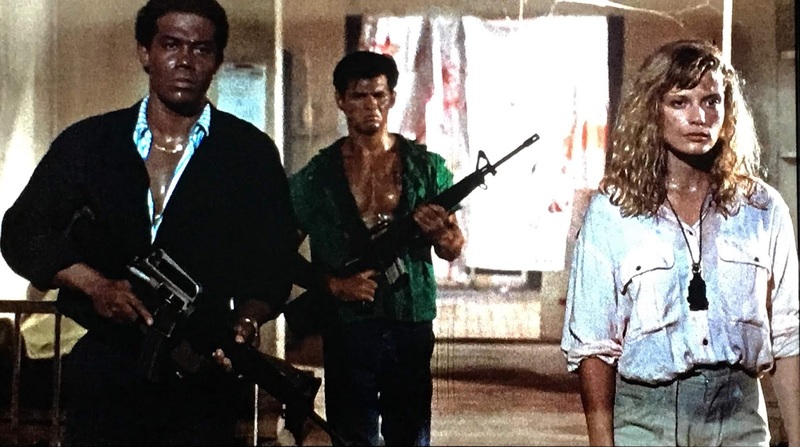 I could write an entire article on the naming conventions of the Zombie series of films, explaining how things were already messed up from the beginning when Lucio Fulci's 1978 movie Zombi 2 was christened to cash in on the success of Romero's Dawn of the Dead, distributed in some territories as Zombi, even though they share no connection whatsoever. That's only the beginning: is Zombi 3 really Zombie Flesh Eaters 2, since it was shown in Britain under that title? Is After Death part of the series at all? I'm avoiding all of that. 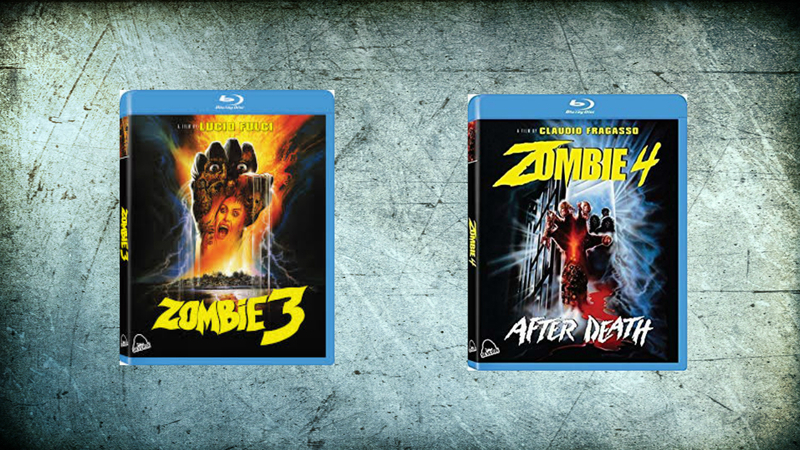 Severin has titled these releases Zombie 3 and Zombie 4: After Death, and that's how I'll be referencing them here. For me, Zombie 3 is the more interesting of the two films because it has a twisted production history. It's common horror fan knowledge that Italian horror legend Lucio Fulci spearheaded this project, but became ill while filming. The nature of his illness and how serious it was is a subject of debate, but no one denies that Fulci was unable to complete his film, and therefore two other Italian filmmakers (Bruno Mattei and Claudio Fragasso) stepped up and finished it. Again, everyone involved seems to have a slightly different account as to who shot what. They are all eager to accept credit, but do agree that Fulci did direct the majority (over half) of the finished film. But even then, accounts of what actually happened during Fulci's days on the production are cloudy. It seems that he wasn't happy with the script and soon realized that he didn't have the resources at his disposal to make the movie that he had set out to make. Zombie 3 was a compromised production from the word "go." It doesn't help that this movie was being filmed in the Philippines to save money, which led to horrible working conditions for the cast and the crew. 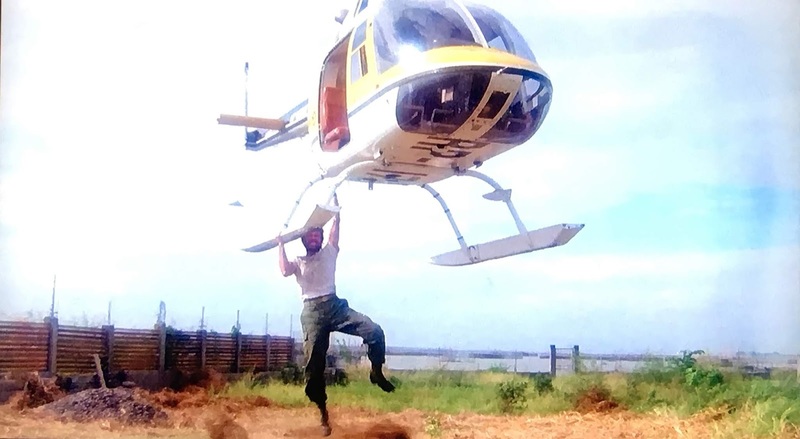 In the robust special features, some of the crew talk about filming in dilapidated buildings (sets left after the filming of Apocalypse Now) that were crumbling and floors that were so rotten that people fell through them. There was also a revolution underway in the Philippines, with guerrilla fighters murdering people in the streets. For these Italian directors filming so far from home, conditions couldn't have been much worse. When reshoots became necessary after Fulci's illness, almost every single actor refused to return to the Philippines because the conditions were so poor. You'll notice that I'm talking a lot about the behind-the-scenes drama of Zombie 3 and not about what we see on screen. It's true that the making of the movie is more interesting than the movie itself, but Zombie 3 does have some interesting elements. The film opens with a fantastic zombie transformation scene that is gory and disturbing, and it really sets the tone for the movie we're about to see. 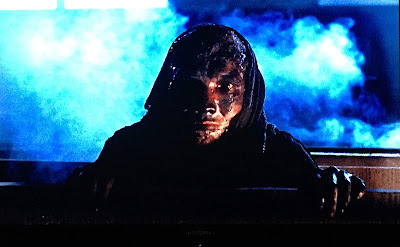 The makeup effects are almost always fantastic, and the high definition transfer (which presents a HUGE step up from every previous incarnation of this film) only occasionally reveals seams in the latex appliances or makeup work.These movies were never gorgeous, but they often look pretty close to it on Blu-ray. The story of Zombie 3 is vague, offering us just enough to run with the premise. There is a research facility that has been experimenting with a virus, or a treatment, or SOMETHING called "Death One." This strain essentially has the power to turn people into zombies and can be transmitted in a variety of ways. Death One can even be used as an air-born toxin, infecting people who breathe it in. "Death One" could have been called "McGuffin One" because it's little more than a plot device to have lots and lots of people turn into zombies and then attack the survivors, but that's okay because that's why we're here. Those brave few must battle the living dead with any tools at hand, including machine guns, shotguns, and even flame throwers. Among our heroes are Deran Sarafian (who would later become a producer on TV's House), Beatrice Ring (Interzone), and stunt men Massimo Vanni and Ottaviano Dell'Acqua. Because this is Italian horror, there are many of the trademarks of the genre, including a variety of colored lights and gels that cast eerie glows on the sets, giving a bright green hue to unexpected locations. There are also unexpected horror surprises, like an attacking severed head that seems to be able to fly under its own power. Also, since this is exploitation cinema, there are plenty of scenes or elements that are lifted directly from other movies. An example is the finale, which is taken almost directly from Platoon, but given a zombie twist. 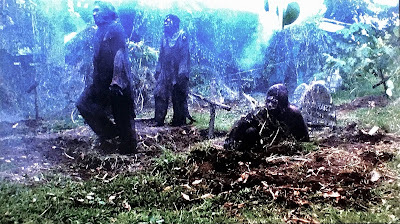 I mean, I don't know about you, but I think Platoon would have been better with zombies. 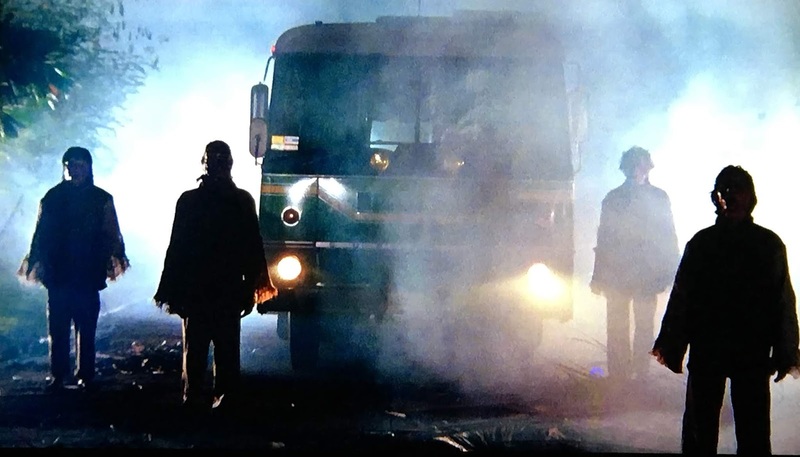 As should be expected from a movie that has such a tumultuous filming history, Zombie 3 feels uneven. Different directors shot different scenes to pad the movie, so it does feel disjointed, but it never feels incompetent. There's a natural ending point at around 70 minutes, and yet the movie keeps going for another 25 minutes. It's not necessarily unwelcome, but it does speak to the different creative directions. Zombie 4: After Death (or simply After Death) is just more of the thing that director Claudio Fragasso and his wife--screewriter Rossella Drudi--seemed to be going for with their script for Zombie 3. There is a larger conspiracy at play that retroactively feeds the backstory of Zombie 3, but again, it's all just fodder for the zombie machine, and we're probably all better off for it. 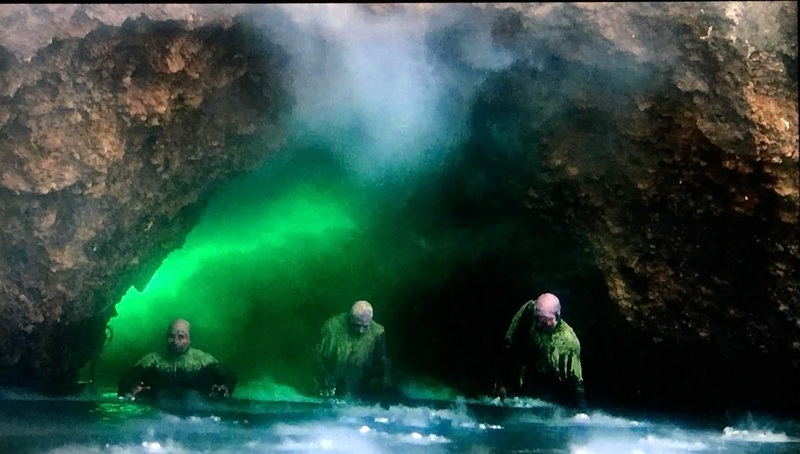 The writers have chosen to depict zombies that can run, open doors, and talk, which Fragasso and Drudi are quick to point out had never been done anywhere before. I detect an adventure vibe that feels slightly more prevalent in this movie than in the previous one, as this time we follow the daughter of a scientist, or a doctor, or someone, who died on that fateful island where the zombies now walk. There are also three hikers who are caught up in the action, sucked into a quagmire created by the union of science with voodoo. Among the performers are adult film star Jeff Stryker and Candice Daly, both who seem adequate for what this movie demands. I should also mention that there's one guy in the cast who is the spitting image of Rob Zombie. He has long hair, a long beard, and spends the entire movie shirtless with an open vest. It's weird to see him transform into a monster because he actually looks like the legendary hard rock performer in his stage persona. Stunt man Massimo Vanni returns as a different character in this movie; he's great, and these two movies, as well as his appearance in Enzo Castellari's The Big Racket, have made me a fan. The direction by Fragasso is capable, but not up to the level of the previous entry. Again, that doesn't mean it's bad, but Fragasso just doesn't seem to have the vision that Fulci or Mattei display, and in the supplementary interviews, it sounds like he's aware of this. Some of the same zombie cliches are trotted out over and over again here. For instance, the walking dead in this movie frequently turn to the camera and allow vile liquid to run from their mouth. It's gross and unsettling the first few times it happens, but by the 25th time we've seen someone dribble green goo out of their mouth, the novelty has long-since worn off. I also have to mention the music of both films, especially since Severin has done an incredible service to horror aficionados by including the soundtracks of both movies on separate CDs. 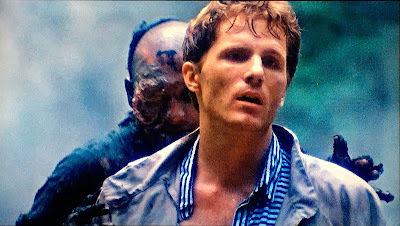 Zombie 3 includes the score from Stefano Mainetti, which includes a few '80s rock songs that Mainetti performs with his co-writer Mario Zaccagnini under the band name Clue in the Crew. It's just incredible stuff for fans of that era, and it checks off every box of what you'd want from a late-eighties rock song. After Death actually manages to one-up the previous film with the absolutely-fantastic rock song "Living After Death." The music and lyrics are written by composer Al Festa and vocalist Maurizio Cerantola, the latter of which would spend the '90s and the aughts as the singer in a Led Zeppelin cover band (Custard Pie) and a Whitesnake cover band (Cover-Dale). Both songs have the same quality that the music from the cult classic Miami Connection possesses: they're super-corny, but once you start listening to them, they win you over with their enthusiasm and earnestness. The important thing to remember when watching both of these movies is that they were never intended to be "good." This is exploitation cinema, and the whole point of exploitation is to have a good time. 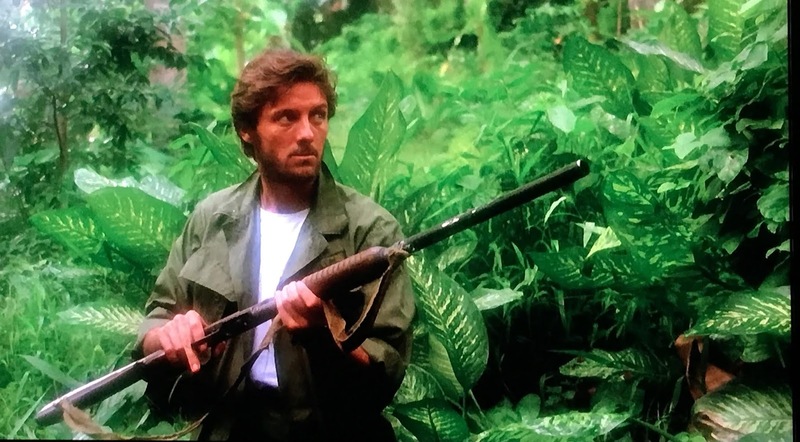 Lucio Fulci, Bruno Mattei, and Claudio Fragasso have taken popular beats from lots of other movies--and not just horror, but 1980s action and adventure as well--and folded them into these movies that are little more than vessels that allow us to watch chiseled heroes carve their way through mountains of monsters. While George Romero's zombie films have social commentary and things to say, these really don't...and that's okay! In the cast and crew interviews included as part of the special features, everyone is up front about what these movies are, and even the directors know they aren't great films. but what they are is FUN--at least for a certain kind of movie fan. As someone who is interested in exploring the deep pool that is Italian exploitation, these Blu-rays are heaven-sent. 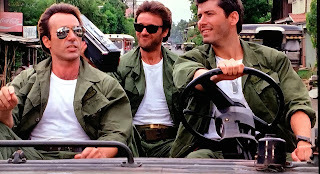 Even if the films weren't tons of gory fun, they'd still be valuable for helping connect the dots of '80s video history. Far too many of these movies (even movies by these directors) have slipped through the cracks of history and have not made the transition to DVD, let alone Blu-ray. 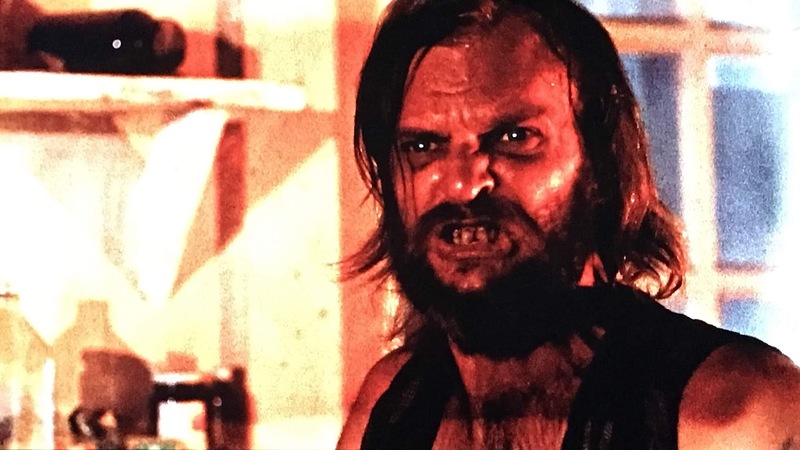 Severin has done a great service to the horror community by presenting both films in high definition and including their respective scores and music. I have to imagine this will remain the best presentation of both flicks for a very long time. You can currently purchase Zombie 3 and Zombie 4: After Death at Severin-Films.com or at Amazon using the links below.